Autotask is a complete Professional Services Automation (PSA) platform that allows companies to develop, sell, bill, and implement technology solutions. When you integrate with Autotask, you can push Anchor activities to specific Autotask support queues, decreasing the time required to track events and manage tasks. Note: You must have administrative access to Autotask in order to complete these integration steps. Note: You might need to contact Autotask customer support to enable Autotask Web Services API module before completing these steps. In the Organization navigation menu, select the master level organization. The master organization displays. In the master level organization, click the Settings tab. The Settings page displays. Click the PSA tab. The PSA Settings section displays. In the PSA Mode field, select the Configure a New PSA System radio button. The page expands to allow you to select the appropriate PSA system. In the PSA System drop-down menu, select Autotask. The page expands to show Autotask credential fields. 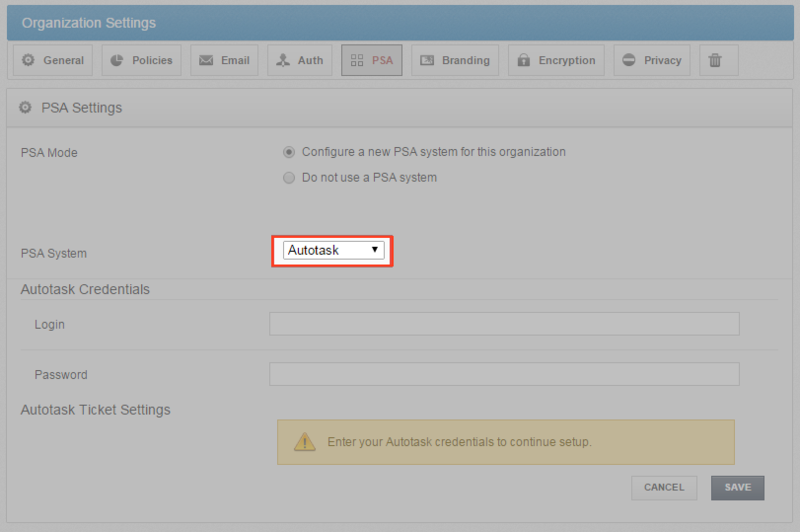 In the Login and Password fields, enter administrative credentials for the Autotask system. 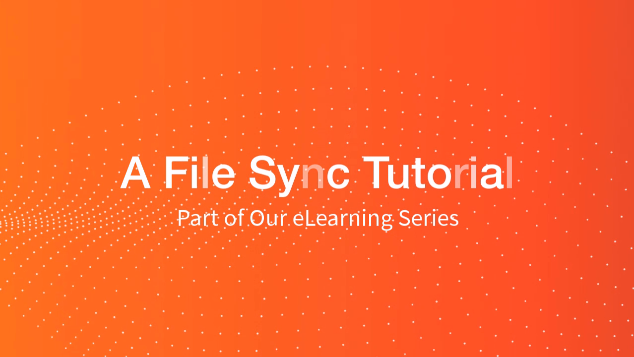 Click the Save button to continue. The page expands to display the Autotask Ticket Settings section of the page. In the Account drop-down menu, select the Autotask account associated with the organization. In the Days Until Due field, enter the number of days in which the ticket should be addressed. In the Priority drop-down field, select the priority level of the ticket. In the Queue drop-down field, select the Autotask Queue where this ticket will display. In the Status drop-down field, select the status level of the ticket. In the Source drop-down field, select the source category of the ticket. Note: You will be able to customize ticket settings for each of your organizations after you configure the initial default settings. After initial login credentials have been configured, you can link your organizations to an Autotask account. In the Organization navigation menu, select the organization for which you want to configure Autotask settings. The organization displays. In the selected organization, click the Settings tab. The Settings page displays. 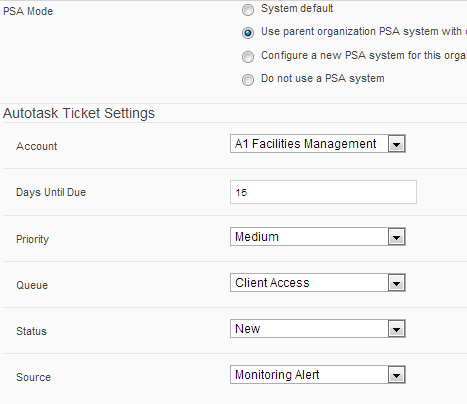 In the PSA Settings section, select the Use Parent Organization PSA System with Custom Ticket Settings radio button. In the Account drop-down menu, select the Autotask account that matches the specific organization. The fields will automatically populate based on your default settings configured in the steps above. Update each field if necessary, including the Account, Days Until Due, Priority, Queue, Status, and Source fields. When the organization is linked with an Autotask account, you can set up alerts that will display in the Autotask system. While still in the organization, click the Activity tab. The Activity Log page displays. In the Activity Log page, click the Create Alert button. 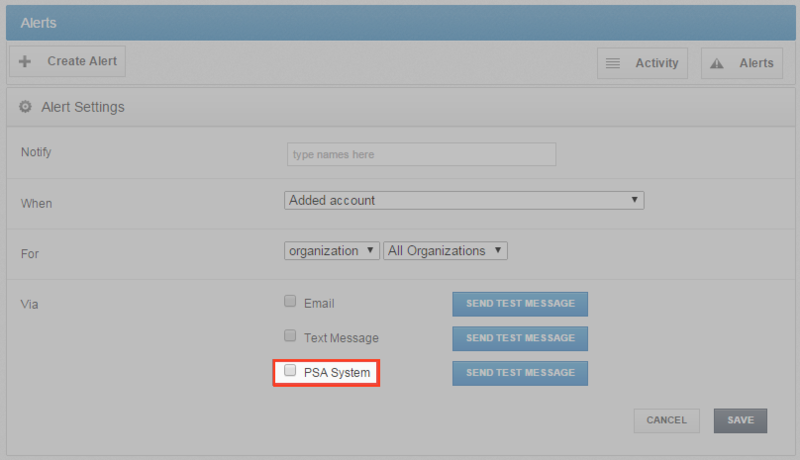 In the Alerts page, configure alerts, making sure to click the PSA System checkbox. For more information on configuring alerts, please reference the How to Create Activity Alerts Knowledgebase article. You will now be able to view alerts in Autotask for the appropriate account.